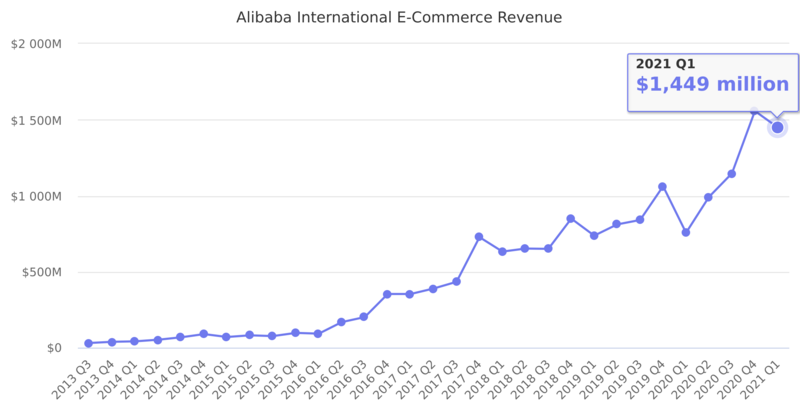 International revenue from Tmall Global for cross-border imports, AliExpress for cross-border exports, and Lazada for the Southeast Asia market. Last reported quarter 2018 Q3 it was $650.00 million, up by 50% year-over-year from $433.00 million. From $814.00 million in 2016 it increased by 134% to $1,902.00 million in 2017.